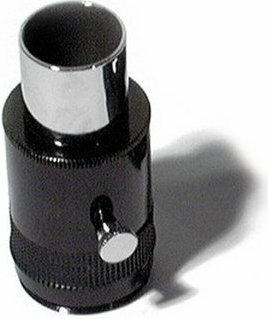 The Bresser camera adapter allows you to fix your (digital) camera to the primary focus of your spotting scope or telescope. The camera adapter is used for terrestrial photography and short exposure times for lunar and planetary photography. 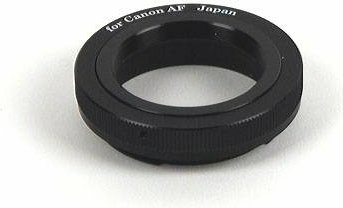 This adapter can also be used for lower shutter speeds such as deep-sky photography. To use this camera adapter with your (digital) camera, you need a T-2 ring. Different T-2 rings can be found on this website. Well-made adapter. The only thing that isn't clear to me is why it isn't noted on the site that this adapter can be used with well-made oculars for "eyepiece projection"